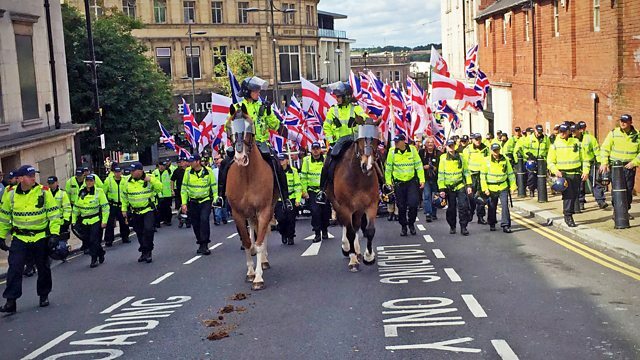 Documentary about Britain First, an emerging name in far right politics. Deputy leader Jayda Fransen and leader Paul Golding embark on a public national campaign to garner support. In recent months, Britain First - which says it wants to ban all trace of Islam from the UK - has emerged as a new name in far right politics. With a 29-year-old-woman, Jayda Fransen, as the face of the party, and with an online following bigger than any other UK party, Britain First says that it is ready to become a household name and credible force in British politics. If you’ve been affected by racism in the UK, there are organisations which offer advice and support. Visit the Information and Support page.